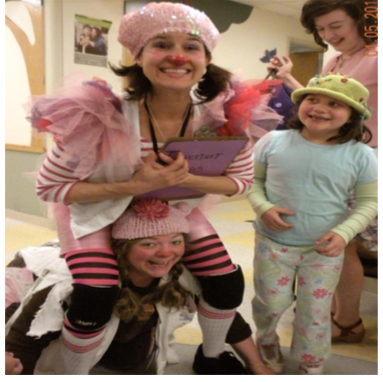 Good Medicine's signature program serves pediatric facilities and nursing homes in central Ohio with programming rooted in improvisational and comedic performance. Professional comedic performers work in pairs to provide one-on-one entertainment to children and elderly with a goal to empower patients in environments where they often feel powerless and to use humor and parody to reduce anxiety, sadness and isolation in the medical environment. 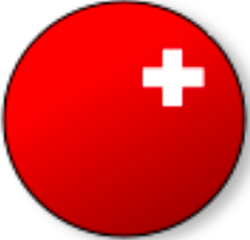 Good Medicine Specialists are professional performers in comedy and improvisation. This is not a hobby, but a job they take seriously. 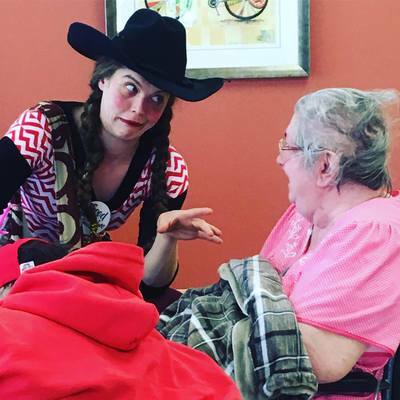 Performers undergo extensive and ongoing training in artistry, infection control, hospital protocols and in special issues related to interacting with hospitalized children and issues related to dementia care. Good Medicine specialists are experts at reading a room and bringing their whimsical, nuanced characters into situations in organic ways. Good Medicine Specialists always ask permission to interact with the patient. Regardless of a yes or no answer, the question is the first gift of empowerment.